I don't know about you, but I seem to do many more altered projects in December than any other time of year! 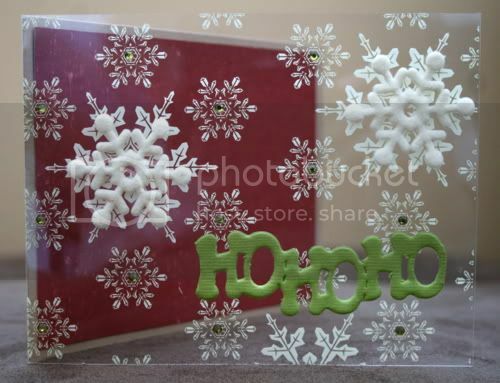 I want to share with you two gorgeous snowflakes that Jillian uploaded to the gallery this week! Beautiful work Jillian! Be sure to upload your own altered projects to share with us! We love to see them! It's Anything BUT...a Fabulous Friday!! Don't you just love Fridays? Well this Friday is "It's Anything But..." with our fantastic Heather. You will see from her project this week that "It is Anything But....CUTE!" 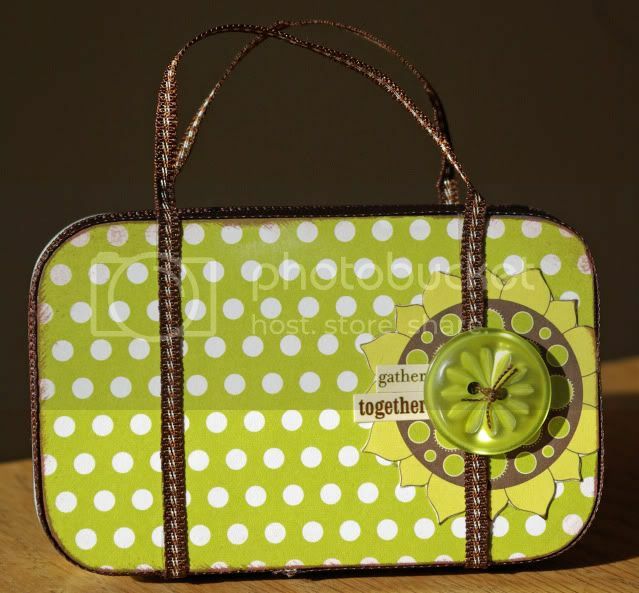 Here is what Heather had to say..."As soon as I saw this little Making Memories tin in the November kit, I knew it would hold a mini-album perfectly. My mother-in-law has been nudging me for a little album of photos of my son so I created this for her as a Christmas present. The only problem now is that I kinda want to keep it for myself. 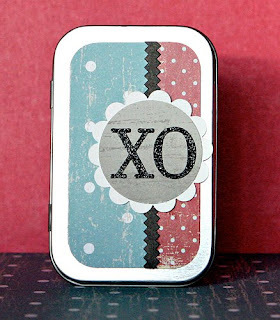 :-)"
Here is the embellished tin. And..........just look at this adorable mini album! And so the Countdown Begins! It's almost December 1 and if your household is anything like mine, we start decorating for Christmas and we count down the days to Christmas. This year, I decided to make a project that I have wanted to for years but never had time! LOL A set of countdown blocks! It would help build the anticipation and excitement for my girls and help my littlest with counting backwards. 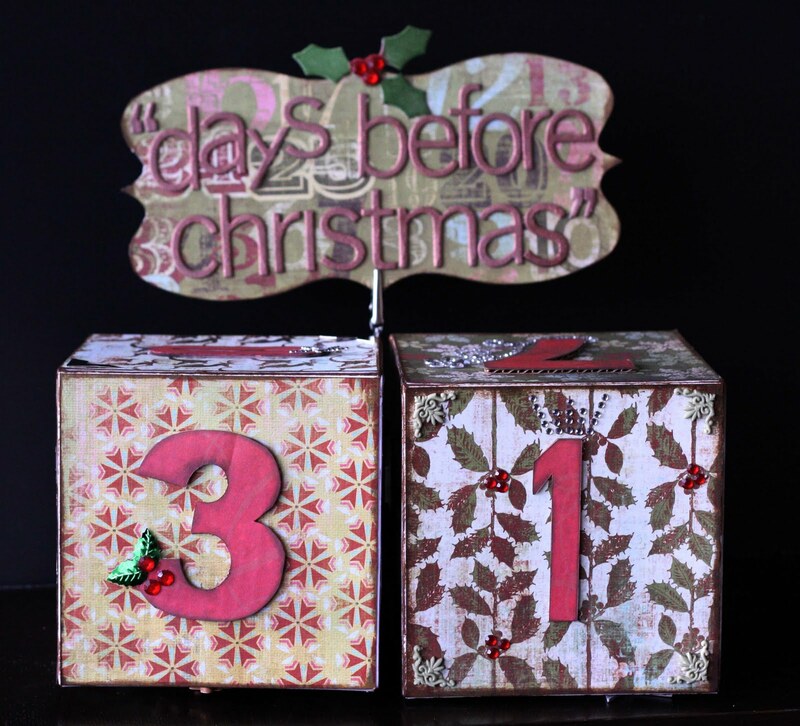 Here are my countdown blocks. The blocks are from Making Memories; they are called Photo Cubes. (Sandy did carry these and if you are interested, send her a quick email.) Other supplies are as follows: My Minds' Eye (pattern paper); Daisy Bucket (chipboard plaque); unknown source (alphas, pattern paper scraps from previous Scrap Shotz kits, various accents); Tattered Angels glimmer mist; Close To My Heart and Kaisercraft (gems); American Crafts (silver photo corners); Basic Grey (alphas on plaque); Fancy Pants (chipboard holly). Here is a close-up of the plaque. The chipboard alphas are from Basic Grey - Periphery line and have been liberally sprayed with glimmer mist! 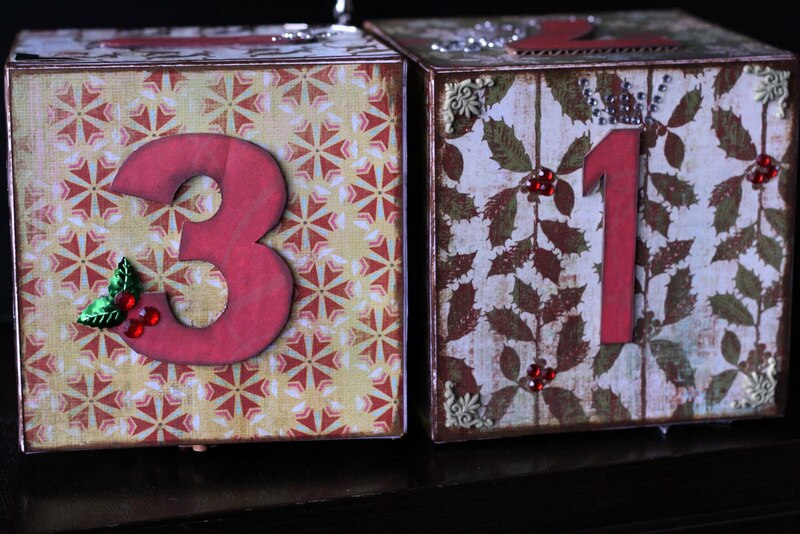 And a close-up of the countdown blocks. The number sequence on the blocks are 0 to 5 for the first block and 0, 1, 2, 6, 7, 8 for the second block. Choose a 6 that can be flipped to look like a 9. I hope I have inspired you to get into the Christmas spirit! 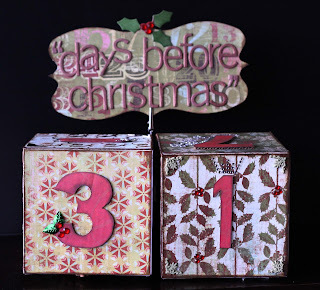 If you make a set of countdown blocks, please link me up! 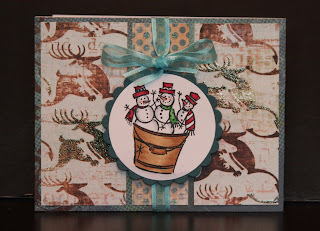 I have been asked to share the stamps used in the Copics for Christmas class at the November 14 Scrap Shotz crop. 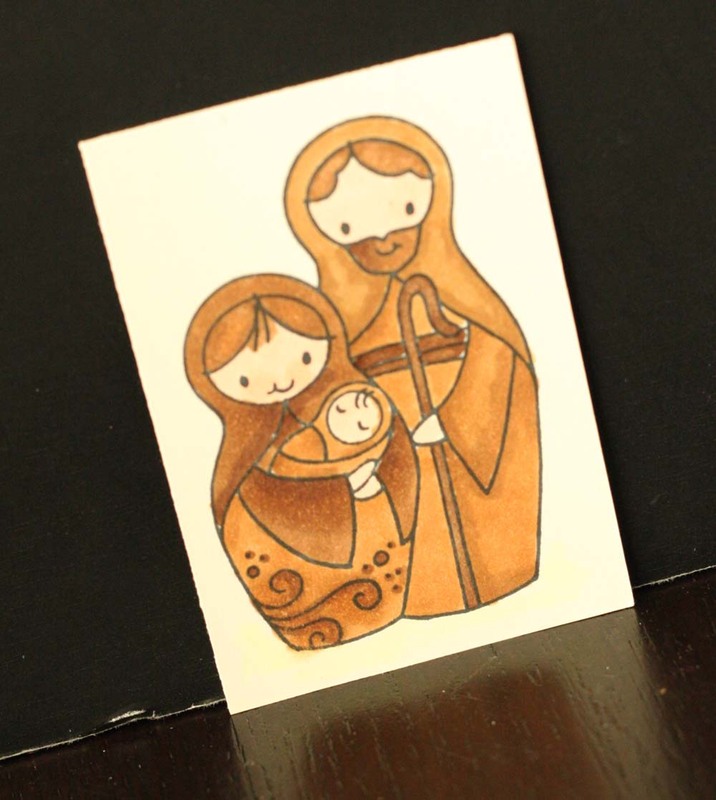 They are made by Stampendous and are currently in the store; click here. I love them because they stamp oh so beautifully. The Stampendous stamps are clings but are also rubber - confused? Don't be because they are used similar to acrylics but give sharp stamped images. 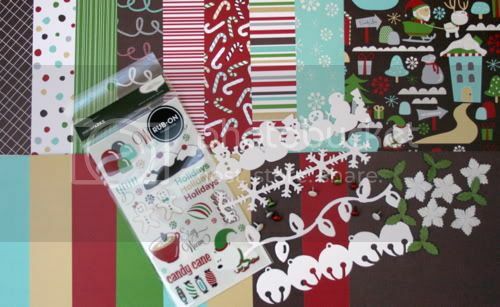 Cardstock and pattern papers by American Crafts. Image is stamped and coloured on Prism Simply Smooth Ivory cardstock - the white and ivory can be used interchangeably with Copic markers. 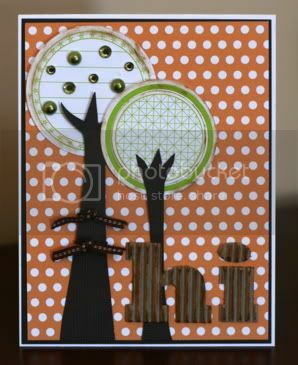 Cardstock and pattern papers by American Crafts. The ribbon source is unknown. Who was the first winner of the blog giveaway? Leave your answer in a comment to this blog post for an extra ballot in this week's giveaway. And the winner for last week is.................................................LIZETTE! Congratulations Lizette - please contact Sandy for your prize pick-up! It's that time of year again! Everyone is busy making Christmas cards! Here are a few from our gallery this week.... keep up the fantastic work ladies! Stephanie made this one... my favorite this week! Sharon has made some wonderful cards and does great work with her copics! Dawn made these using the Scrapshotz card kit! Well done! And these two were the ones Lorraine made for our card front swap... the coloring is amazing and the photo really does not do justice to these beauties! Wonderful work Lorraine! So ladies let's see what the rest of you have up your sleeves for Christmas! When I was at my mom’s this past weekend, she gave me this pamphlet. We didn’t get there, but I loved the colours!!! 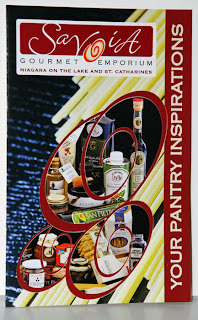 My inspiration challenge is to create a layout or a card using the pamphlet as your inspiration. I recently took a class with Krista Schneider who got me playing with my watercolour markers, again. I still love my Copics, but it is fun to try different mediums. Can’t wait to see what you create!!! 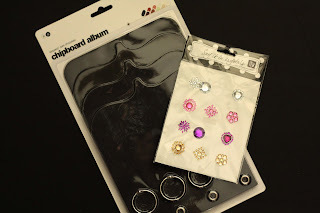 Don't forget to link us up with your project for a chance to win this fabulous blog prize. Embellie Gellie by ScraPerfect- you've seen this showcased in magazines like Canadian Scrapbooker, right? You may have wondered about it, well, I am here to tell you this little hot pink box contains a little piece of magic. If you are like me, sometimes it is frustratingly hard to pick up the perfect gem or button off the table or from the jar. 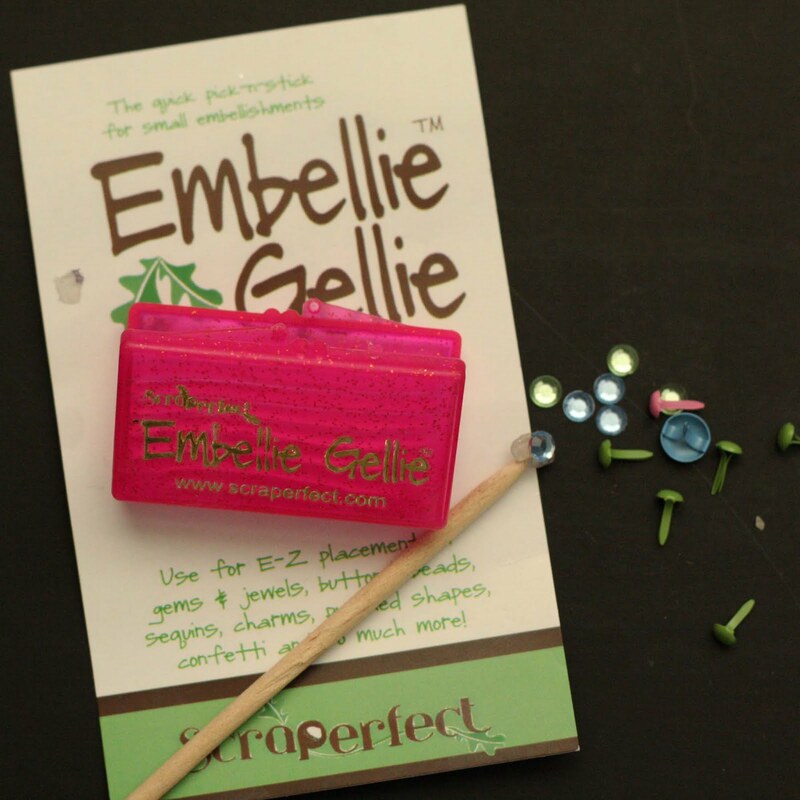 After working with Embellie Gellie, I am no longer frustrated. This is how it is used - With the wooden wand, mold a pearl-sized ball of Gellie onto the flat end of the wooden wand. Then gently touch the ball of Gellie to embellishments like gems, jewels, buttons, beads and sequins. Touch the embellishment to the adhesive to transfer the embellishment. I love this product! If you have tried it, please let me know. If you want to try it, give Sandy a shout! And now the winner of last week's blog giveaway is................................... TANYA C. Please contact myself or Sandy to claim your prize! What's hot right now??? Well, that's easy to answer! It's Copics! Over the next few weeks, I'll review the principles we learned in a "Copics for Dummies" style. LOL!!! First, optimal results can be achieved easier if you start with the quality "ingredients" - in the world of Copics, that refers to the paper and the inks. For the paper, I love using Prism, Simply Smooth and for the inks, I absolutely adore Tsukineko Memento Inks. The Prism papers, Memento Inks and the Copic Markers are a match made in Heaven! If you notice your inks are bleeding and the edges are blurring, you know that your combination of paper, ink and markers is not working. Optimal shading/blending results can be achieved with markers chosen in consideration of the Natural Blending Families. A Natural Blending Family refers to colours that have the same first letter (colour) and first number and then 2-3 digits apart in the last number. Start with the lighter colours and gradually add the darker tones. I would love to hear if you have ventured into the world of Copics and what you would like to learn. Please leave me a comment or link me up to a project you have completed. 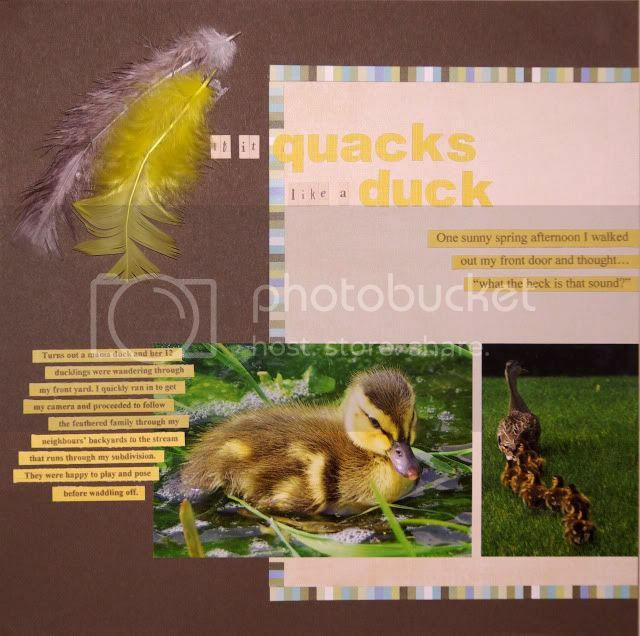 Today I'd like to encourage you to check out our DT Challenges for November... this layout by Serena is a product of Heather's "Supersize It" challenge where we were encouraged to use a photo larger than a 5X7! Great take on the challenge Serena! So let's all get busy working on those challenges... don't forget you have a chance to win a $20 SSZ gift card for playing along! This Fabulous Friday is all about colour, yes, a Colour Inspiration Challenge. Here is Amber's challenge to you! This weeks color inspiration comes right from your local paint shop! A fantastic way to choose colors for your paper crafting projects is to gather paint chips, take them home, and then play with various combinations! This time I have gathered a few basic colors that would work well with both masculine and feminine projects and would be perfect for those fall photos as well! 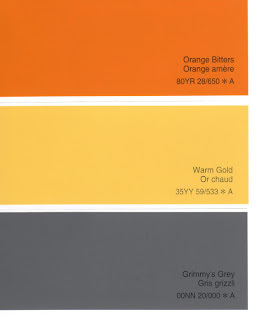 These colours are Orange Bitters, Warm Gold and Grimmy's Grey - all from Glidden Paints (CIL).And of course I always like to throw in a clean crisp white to brighten it up! Here is my sample, I hope this color combination has inspired you, and I hope to see your projects soon! 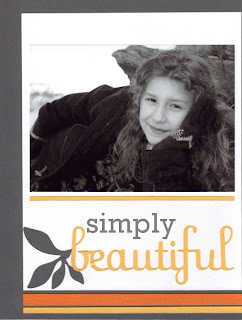 I think you will agree with me that this is an awesome challenge ... and Amber's layout is "simply beautiful." 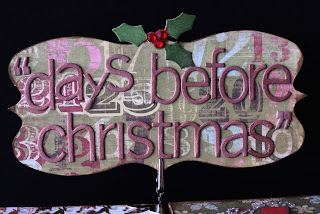 Don't forget to link me up with your finished project and I'll add an extra ballot for the blog giveaway. A Classic Christmas...and a Winner!!! 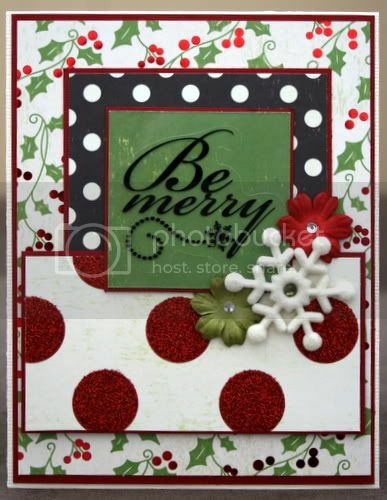 Celebrate Christmas in beautiful Classic style with Scrap Shotz's second card kit: A Classic Christmas. 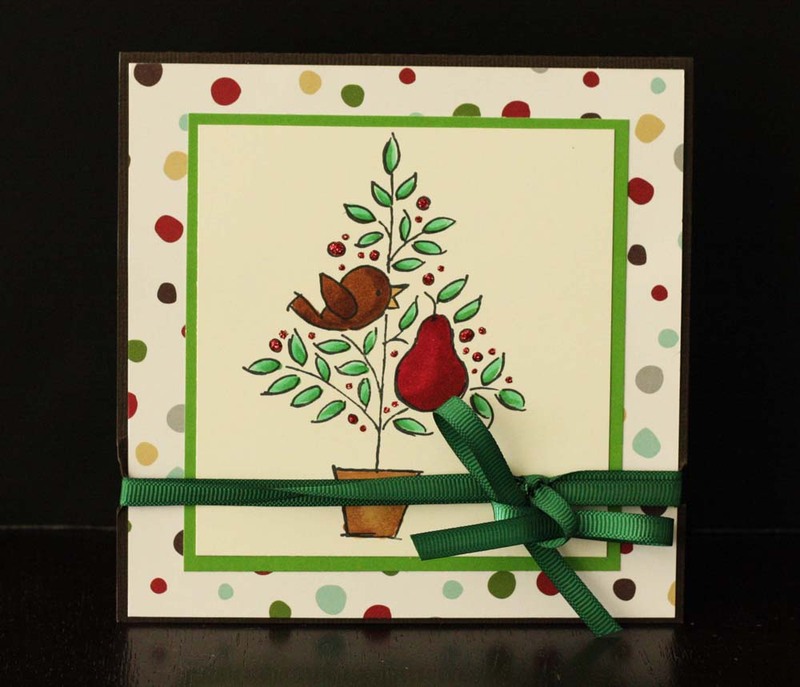 The lovely and traditional Mistletoe release from Making Memories is the featured line in this card kit. Included are a mix of 14 6x6" patterned papers, some glitter, some foil and some double-sided plus 2 6x6" patterned transparencies. 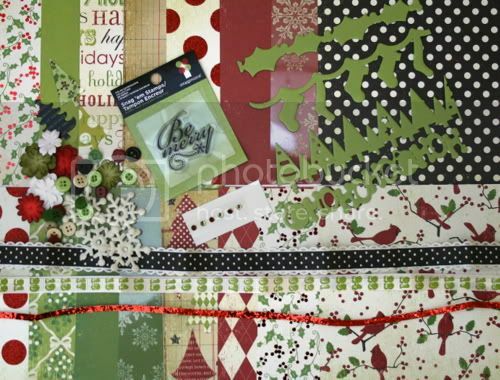 You will also receive half a package of the Trims & Treats embellishment assortment, including 3 18" lengths of coordinating ribbon, some jewels, felt snowflakes, acetate trees and a bunch of buttons. 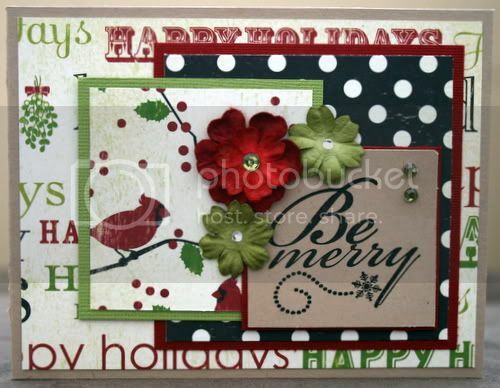 For your sentiment needs, an Imaginisce "Be Merry" stamp is included, as are 4 6" Bazzill Christmas Edges in green. Completing this beautiful kit are a handful of new Petaloo Mulberry Paper Flowers in coordinating colors. *As an added feature, we are including 6 original card sketches created by Jess Duerkson for your inspiration. Here are Jen's interpretation of Jess's sketches - beautiful, absolutely beautiful! Email either Sandy or myself Laurie to make arrangements for your prize! 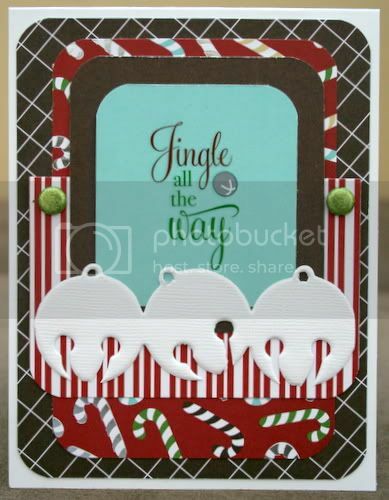 This kit features the whimsical American Crafts Merrymint release. 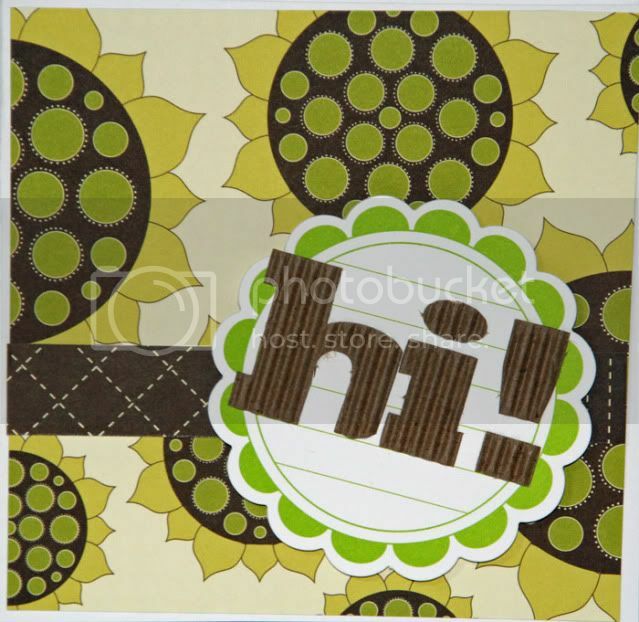 You will receive 18 6x6" double-sided patterned papers, including some glittered and some foiled. To accent and embellish these fun papers, you will also receive a complete package of the coordinating Phrases and Accents rub-ons and 10 coordinating American Crafts Glitter Brads. We have also included some fun extras like 4 6" Christmas Bazzill Edges in white, 5 Bazzill Paper Poinsettias and 5 matching Bazzill Paper Holly Leaves. 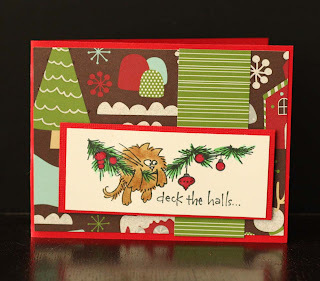 Here are 3 cards that Jen created with the sketches to whet your appetite. Aren't these cards absolutely darling? Let me know, ok? I recently had the pleasure of interviewing Wendy Visser, our Guest Designer and found Wendy to be charming, fun and talented. 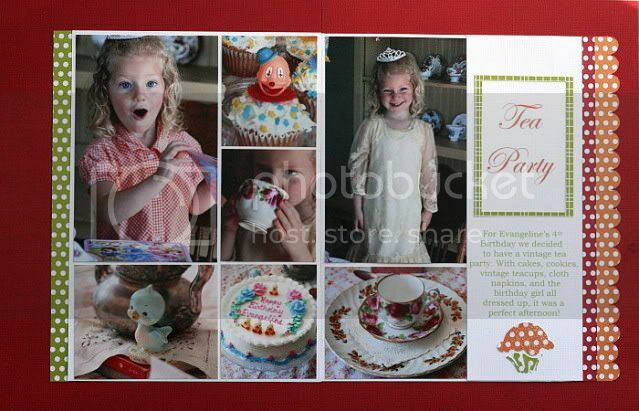 You've seen her cards and layouts in the gallery - now you get to meet the girl behind the yummy projects! Please read on and get to know this gal! What name do you usually go by? Do you have a nickname that you could share? My stepdad called me Wendance. He has called me this for as long as I remember. When he got sick, a few years ago, I decided to get a stamp that said, “Wendance Designs”. Now, all the cards I make, have the stamp on the back. That’s why I am Wendance on the boards. Where do you currently live? Where would you like to live? I live in Ottawa, Ontario. I moved here, from St. Catharines, for University and I never moved back! Someday, I would love to have a place for the winter – where it is warm! 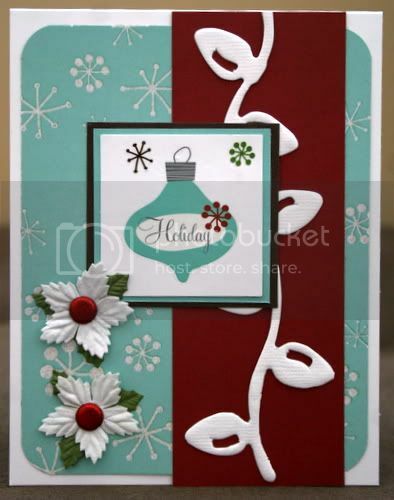 How did you get started scrapping/cardmaking? I have been making scrapbooks for as long as I can remember. Every family trip and my figure skating was documented with photographs and the old newspaper scrapbooks. 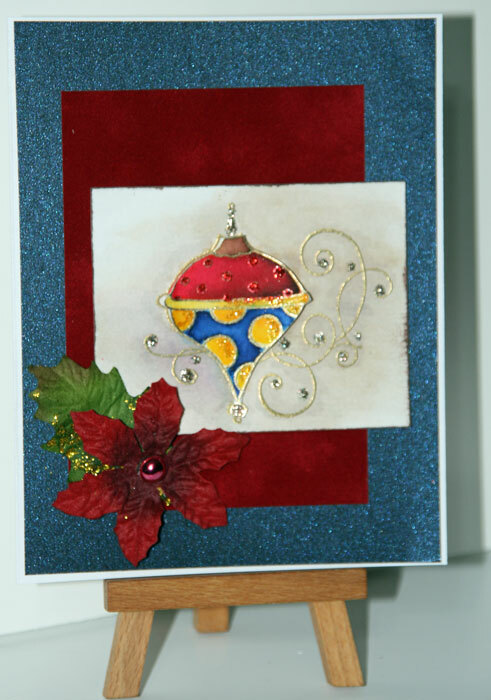 As far as cardmaking, I have always made cards, too. Probably over the last 5 years or so, cards have become more of a passion. I sell them to friends, family and co-workers. I have my Etsy store, now, too! Is your scrap area usually neat or creatively messy? What is your one scrappy item addiction? What is something that you have recently learned? I recently took a class with Krista Schneider. I learned to love my tombow markers, again – for watercolouring images. 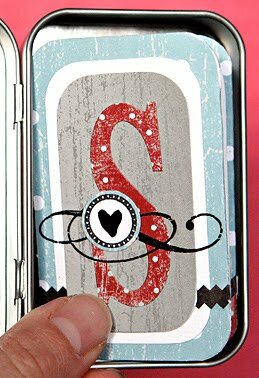 What is your favourite scrapbooking/cardmaking colour? It depends – but I use a lot of reds and blues. What tools can you not live without? My scissors, my trimmer and my Tim Holtz blending tool! This is tough – I think it is a combo of many different styles. Simple, sometimes grungy, and creatively me! I have a Canon Rebel XTi – LOVE it!!! Definitely morning. Cuddles has me up at 5am, everyday. I am in bed by 9pm! What food would you like to eat every single day if you could? That would definitely be pasta!! My Italian grandpa would be proud! Are you a slow or speedy driver? Do you drive stick or automatic? I pretty much go the speed limit. On the highway – maybe a bit more! I have always driven stick – this is only my 2nd car that is automatic. They didn’t make my car in stick in 2008! Our second car is stick. What is your trademark dinner? What are some of your favourite non-scrappy things? My favourite non-scrappy things would have to be books and anything computer related – my laptop, blackberry etc! Now for some scrappy word association – I’ll say a word and you say the first thing that comes to your mind. Trimmer – I love mine that comes from Henry’s Camera Shop! Stickles – must have every colour! Please share your favourite project to date. Thank you Wendy for sharing yourself with us! Another week in the gallery! We've been seeing lots of seasonal cards popping up... it *may* be time to get busy on your Christmas cards! Watch soon for a showcase of cards! This week I'd like to share a layout with an amazing photograph... Lorraine took this photo while on vacation, and did the layout for Heather's DT challnge this month! I hope to keep looking back at it as it gets colder and colder here in Alberta! It's Fabulous Friday with Denise! Hello Fellow Scrappers and welcome to my very first Blueprint Challenge! Not only is this the first time I've taken on this Scrap Shotz Blog Challenge but this also marks my debut as a "blueprint maker." Not true...I took that "oh so useful and practical in real life" drafting course in high school and have actually made real blueprints. But back to scrapping...Sure I've used paper and pencil to sketch out quick ideas for layouts but had never tried to enter the electronic age of sketches. So I braced myself for the overload and dove in. Thanks to a few basics I actually remembered from Kathy T's PhotoShop classes I felt armed and dangerous and went in determined to win the battle. And you know what? It was relatively easy! Open up a new document in your version of PSE (I have version 6) and size appropriately for the finished layout. I chose 12 in x 12 in. Choose a resolution 72 dpi and a background of white. 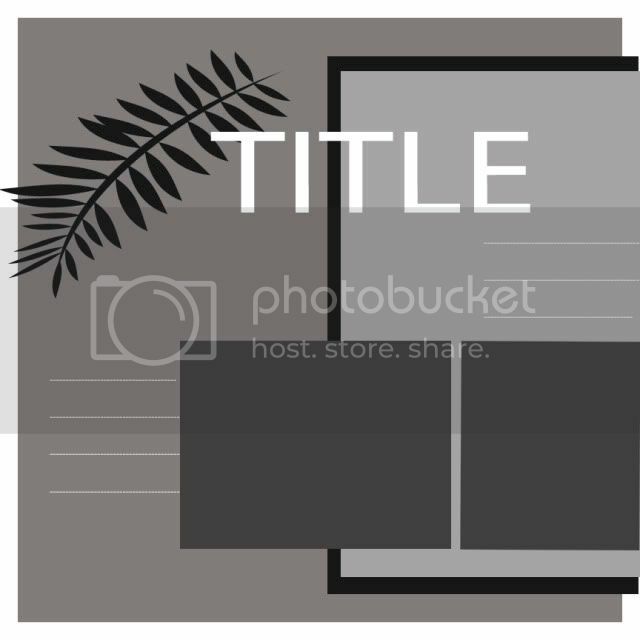 Use the rectangular marquee tool to draw in your photos, pattern papers and other layout items. Use the Paint Bucket tool to select different colours for each element. 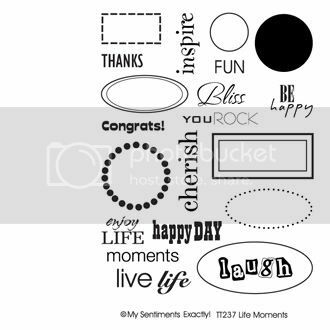 I used the Text tool to add Titles and journaling areas and the Shape tool to add an accent. You can also use the Brush tool although I'm not sure why they don't call this the Stamp tool, but then again that would make too much sense! LOL The trick here is to create a new layer each time you add a new element. Over on the right of the screen, each new layer will be shown. You can change the order of these layers so that you can move an element "on top of" or "underneath" another element. You can also Left-Click on an element and there are options to "Move It Forward or Backwards" - who knew it could be this easy??? Note - This Blueprint contains no circles or curves of any kind. We'll talk about that in another tutorial - stay tuned!!! Finally I saved my file as a .jpg. So now I challenge you to build a layout using my blueprint. Use it as is, flip it, turn it or whatever tickles your fancy! Can't wait to see what you come up with. And while you are at it, I also challeng eyou to try your hand at building a sketch blueprint. If I can do, so can you! To end off this week, let me tease you with this week's blog giveaway...and awesome stamp set! The images are below! Yum!!! Join us on November 14 for 13 hours of cropping, food, friends and more! This is a more casual version of our May crop. We're providing snacks, supper, crop space, some prizes and giveaways, some demos and an optional class. 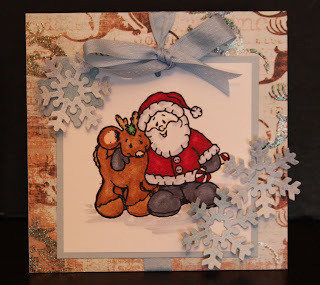 The focus of the class and crop is Christmas/holidays/cards, so why not sign up and get all of your holiday projects underway! I'm also happy to announce that Katharina Doyle, co-founder of Canadian Scrapbooker Magazine, will be dropping in to say hello as well. Location is the Scenic Acres Community Centre, 11 am to midnight. Registration is now open and non refundable. Click here to register. It's been a great gallery week! With the windup of last weekend's crop and the DT revealing the fabulous new kit there has been no shortage of beautiful creations to admire! 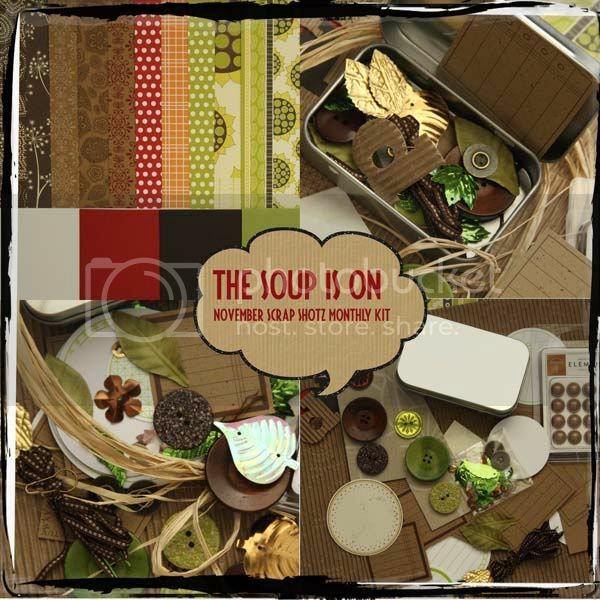 I really love this squash album that Denise (pajamascrapper) put up this week... what a fabulous idea for a theme album or a gift for someone special! Be sure to find her in the forum for some instructions if you'd like to make your own! Oh yes, The Soup Is On at Scrap Shotz in November! 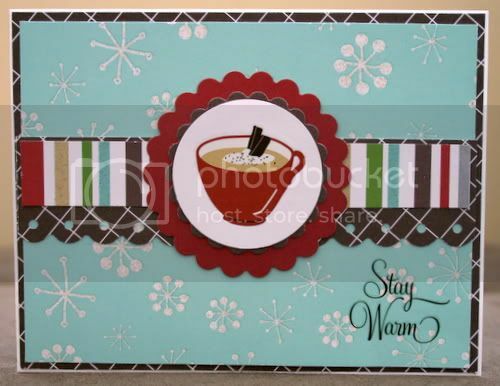 We are featuring the ever popular goodies from Jillibean Soup! Take a close look at this luscious kit! Yum! Let me show you what the Design Team has whipped up! I think you will agree with me that the Design Team did an amazing job so let's give it up for them by leaving them love in the comments section! Please send me (or Sandy) an email so we can get your prize to you!